I've heard of chocolate covered bacon and bacon donuts but Bacon Waffles? And GF? Sounds too good to be true, right? But not at Flappy Jack's on Route 66. With a rice flour base, this waffle is surprisingly light, fluffy, sweet and salty. 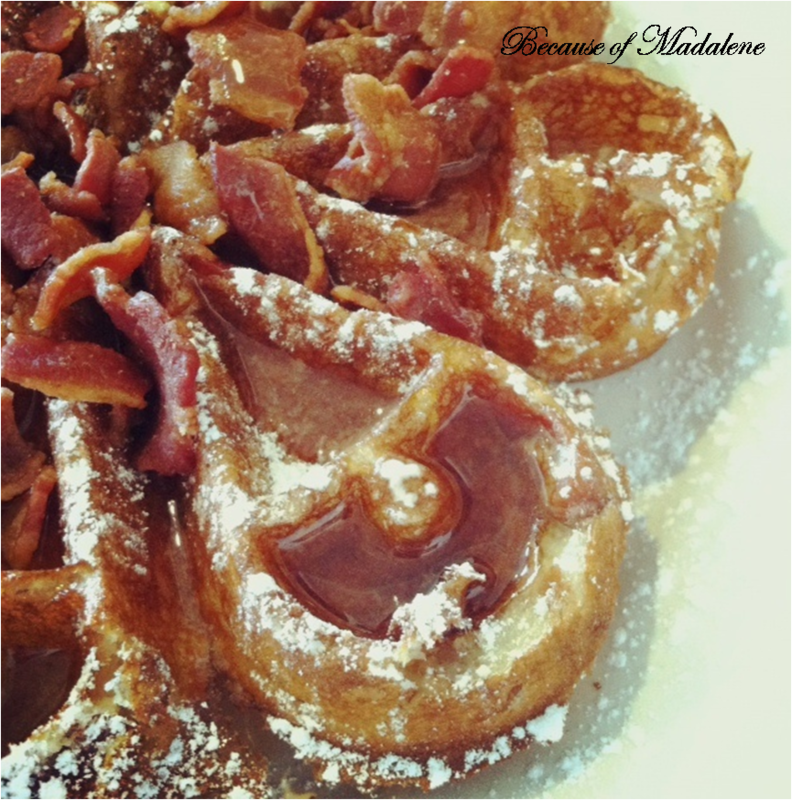 Not only do they topped it with crispy bacon, the waffle is also filled with bits of bacon. Served with melted butter and maple syrup and dusted with powdered sugar, this breakfast made me do a little squirmy dance in the restaurant booth! I'm not usually a bacon/sweets fan, but this actually looks pretty good! The great thing about this is... the bacon cuts away some of the sweetness and gives it a more savory flavor.